It's the most awesome family guidebook on the planet, with more fabulous photos and graphics... ...more freaky factoids, inside secrets, and more new adventures and experiences. The national Benjamin Franklin award-winner is a must-have for visitors, and for local of all ages who want to discover exciting new things to do in their own backyard! Available in fine local bookstores and gift shops, or get a signed copy by special order. 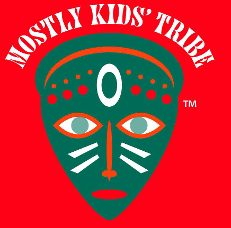 Contact karen@mostlykidsguides.com or call 239-595-9026. We're thrilled to report that our Adventurer in Chief, Karen T. Bartlett, won second place for travel book writing in the 2017 Society of American Travel Writers Eastern Chapter travel book awards. The winning book, A (mostly) Kids’ Guide to Sanibel & Captiva Islands and the Fort Myers Coast, arrived in bookstores earlier this year. NOT ONE, BUT TWO BENJAMIN FRANKLIN AWARDS! Mostly Kids Guides is now proud to display the silver Benjamin Franklin Award seal on the covers of BOTH our books: A (mostly) Kids’ Guide to Naples, Marco Island & The Everglades won the top travel book award in 2016, and A (mostly) Kids’ Guide to Sanibel & Captiva Islands and the Fort Myers Coast took the same honor in 2017! The Benjamin Franklin, the top award bestowed by the Independent Book Publishers Association, is one of the highest honors in the publishing industry worldwide.